On Tuesday, May 22, 2018 the Hero's Cafe held memorial services for our fallen heroes from WWII, Korea, Vietnam and conflicts up to the present. Hero's Cafe is composed of veterans from all branches of service and meets on the fourth Tuesday of each month in Lynnwood. 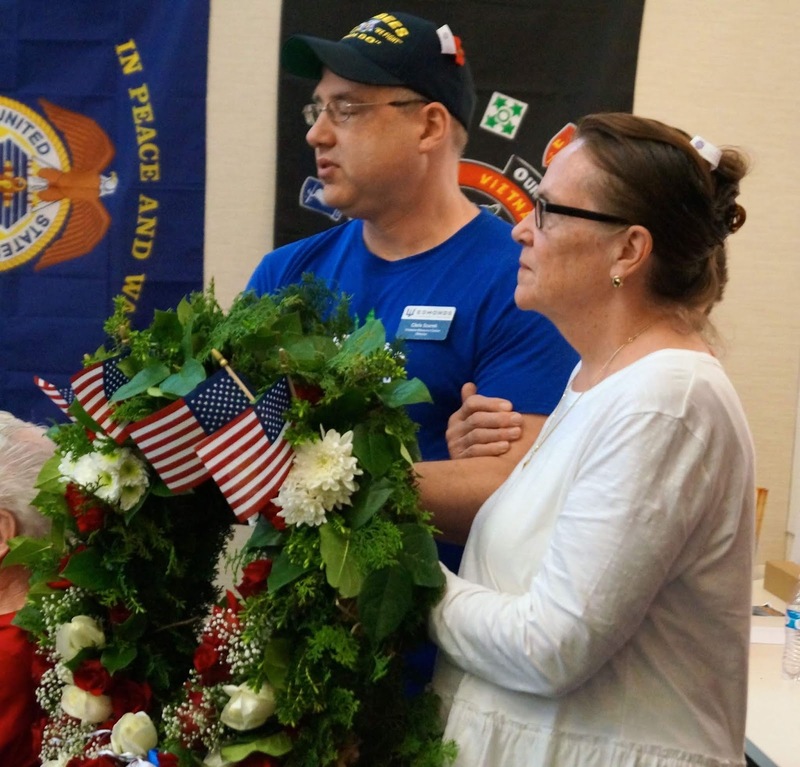 In this month's meeting fallen heroes were recognized and remembered. Dwight Stevens WWII B-17 pilot, showed a picture of a friend who was shot down over Europe and talked about him. Gary Walderman, Vietnam veteran, also showed a picture of a friend who didn't make it back and talked about him. 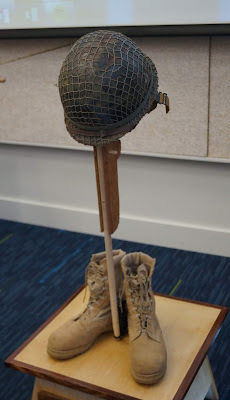 Many members stood and told of friends and relatives lost in conflicts in far off places. A wreath was presented in honor of all the fallen. 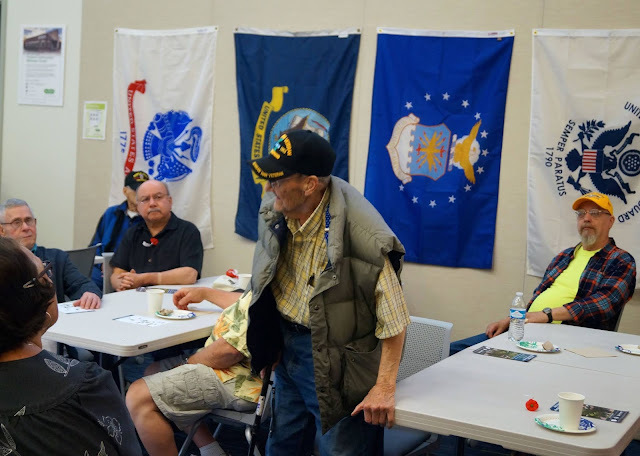 The Hero's Cafe gives veterans a place to come together monthly for fellowship, to exchange information, and enjoy each other's company. They meet in the Verdant Building at 4710 196th St. SW in Lynnwood WA from 9:00am until 1:00pm.